Internet Anagram Server – Find Anagrams! 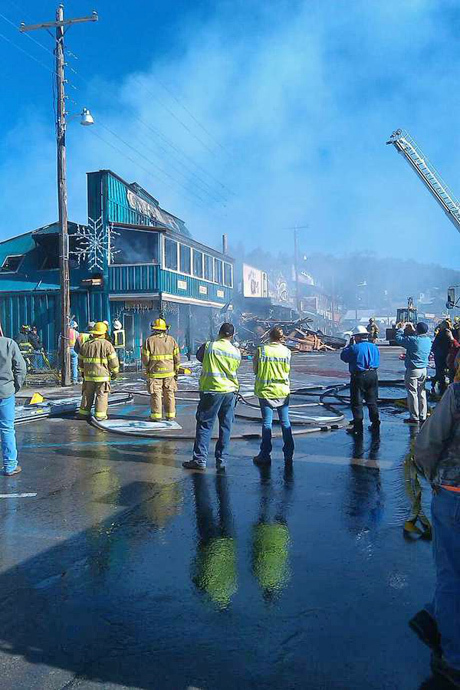 We at Cloudcroft Online would like to thank the many people who have written us about the Scott Able Fire. Because of the volume of emails, we have not been able to answer each personally. Your emails provided us with valuable information about the fire which we passed on and encouragement that we were being helpful. A selection of the emails we received are given below. I just wanted to sincerely thank whoever it is who is keeping us up to date on the situation. Please keep us posted with any new information. We hope and pray that everyone is safe and things will be under control soon. My wife and I have a cabin in Young Canyon near Cloudcroft. Thanks again for your information. Please pass this along to the person(s) who had the idea and followed through to put the fire report on the web page. As a member of a family of long-time property owners in Wayland Canyon but resident of California, I am quite worried and anxious to hear any news we can get, not just about our property but our neighbors as well! I was so pleased to see the diligent work on the web site to provide such well down updates! Since the fire season is upon us in more ways than one, is there any effort on the part of the village to attempt to clean parts of the village up that has a considerable amount of dead wood and underbrush on it. Not only the private lots and unattended homes, but the right ways long the roads? If volunteers are need I am willing to help since it obvious it is going to take more than the village staff to clean up the village. Has there ever been a effort to put a ordinance on the village books to force investors and developers, land owners to keep their property clean and free of undergrowth and dead wood? Thank you very much and your efforts are truly appreciated. Just a note to tell you how valuable your information is to me and my family. I am in Midland, Texas; my brother is at his home in Ponderosa Pines and I am feeding him reports based on what you post. I wish you could get more information, but being in the communications business myself I know how very difficult agencies can be sometimes. Cloudcroft is a special place to my family and we are concerned for it during this fire. I just wanted to tell you your information is reaching someone who can really use it. Hopefully you won’t have much more to report. I would like to give everyone working there kudos for the excellent work on the update. We have owned property in Cloudcroft for 15 years. It is located at mile marker 29 on the highway towards Mayhill. Yesterday I received a call from my father telling me that there was a fire nearby. Since I live in Houston, I needed to get more information on the status of the fire. We would hate to lose all our possessions at the home that I spent my childhood at. After searching the internet for about an hour, I came upon your website. It was a great feeling to get accurate information. Obviously, I would like to get more regular updates, but what you have presented is fantastic given the circumstances. A couple of suggestions if I may, it would be nice if you could update every hour on the hour even if all you can add is that there is no further information available. This would be helpful because it will place a time marker on the page and users won’t have to wonder if there might be problems loading up the website or problems with their web browser. Secondly, is there any way that a rough sketch on a map might be added indicating where the fire currently is and what direction it is heading? Even a hand drawn .bmp file would be greatly appreciated! Once again……great work, great website (placed it in my favorites) and those of us far…far…away are tuned in!!!! Sorry to send info to this address but I don’t see any other to send to. The buildings in the mouth of Wayland canyon have all burned but the one belonging to my family. This would be at least 7 homes, plus the homes behind those down in the canyon. Thank you for dedicating your site to the Scott Able fire. It has been very difficult to get good, detailed information. We appreciated your work to keep updating the news on the fire. Thanks for including the photos. We just wanted to tell you “Thanks!” for keeping your website posted with the fire information. Although our vacation retreat near Cloud Country Estates is apparently safe from this conflagration, we still recognize how vulnerable we could be. Our thoughts and prayers are with those who are suffering through this disaster, as well as with those making the effort to bring it under control. I would like to thank you and your staff on keeping us informed as to the situation in the Lincoln National Forest. You have provided an excellent service to all of us that have loved ones and property in the Lincoln National Forest. We live in El Paso but own a cabin in Twin Forks area since last year. Our concerns were first with the welfare of the residents who live in the areas and for their safety. Your news updates allowed us to also keep watch on the locations of the fire to understand what we had to do should we need to move out our belongings in a hurry. By keeping a watch on your news line and calling the NFS we were able to have some comfort as to what to do. Our prayers are with those who have suffered loss and inconvenience there from this unfortunate event. I am an absentee (in military service) landowner in the Agua Chiquita Canyon. News reports I have been able to get about the Scott Able fire have been infrequent and contained sketchy or inaccurate information. Your site has been an excellent source of up to date news about the fire. I want you to know that I am grateful for your effort and hope this type of service will always be a part of your website during crisis. In addition, we had to deal with the standard Thursday night Calls for service in the rest of the County, all the way to Chaparrel. We were able to deal with Cloudcroft Evacuation Center, keeping Mayor Dave & Mike Niveson briefed and updated on what little we knew. All this was being accomplished by 2 dispatchers! I realize it was frustrating for you not to be able to get Information, it was also the same for us. It is my understanding that the Forest Service Phone lines were “Down” and that was the reason for lack of communications. Please keep in mind the Forest Service is ultimately in charge in these situations. We did the best we could under the circumstances. As a Mountain Resident, I appreicate your Efforts in keeping folks informed. Want to let you know how much I appreciate your posted updates on the situation there. I am with the NM Conference of the United Methodist Church, coordinating communication among our churches/laity, and we have a Conference Camp at Sacramento (Sacramento Methodist Assembly), where fire threatened substantially night before last and during the day. Without their panicky calls to us in the midst of firefighting, and your posted info, we would have been left in the dark. I have heard nothing from them since Friday noontime, and pray they have made it through this horrific experience. If you have any information pertaining to this Camp area, we would appreciate knowing- if that is possible. Your up-to-the-minute updates of the fire situation are a tremendous help. When I feel there is nothing I can do here in Albuquerque, because of your tremendous effort, at least I can keep in touch. Of particular concern to me being a United Methodist is the situation at the Sacramento Methodist Assembly, the staff, the buildings, and the lovely forest. Prayers for your strength to endure mother nature, and your care of those who need compassion. My wife, Louise and I live out of Cloudcroft about 10 miles in Cloud Country West. We have been frantically trying to get information on the fire. This morning I went in to talk to the folks at the Cloudcroft Fire Station and they recommended I try your web site. It was like a Godsend to finally get some information on what is going on. Thank you sincerely from the bottom of my heart. You folks are wonderful and we have signed up for your newsletter. Will try and support those who sponsor your web site. Let me add my thanks to those who have already written. You have provided a service that goes beyond description. The news media has been focusing all of their coverage on the Los Alamos area but you have provided us with timely, factual reports that we cannot get any where else. We too, own a home in Cloudcroft, and are most concerned with the welfare and safety of our friends. Also, a big “THANK YOU” to the men and women who are putting it on the line to fight this fire. Our prayers and best wishes are with you. Please return safely. Property can be replaced…people can’t!!! I keep coming back repeatedly to your site to read the latest info on the Scott Able fire near Cloudcroft. We have almost completed the construction and finish-out on our retirement home at The Ranch in the Young Canyon area off US82 east of Cloudcroft. I was there until Tuesday of this week before returning to Garland, Texas. A good Cloudcroft neighbor told me by phone of the fire, and I quickly went to your site, and found your coverage. I will continue to check in for updates. I hope when the fire is under control and interest wanes, that you will not just “discard” the materials you have assembled, but will find a corner of your site to keep them intact. I think that re-reading these materials from time to time will insure that we stay vigilant, and that we understand how a fire can spread, how difficult it can be to get one under control, and the disruption of lives and loss of property (even if there is no loss of life) that can be caused, as well as how difficult it can be to get timely and accurate information from the officials and the media. The links to other resources are also very valuable. Please save this stuff for us to access again. One minor point concerning your links to “Wildlife Fire Operations Website” and “Current Wildlife Fire Information”: The word “Wildlife” should be “Wildland”. Why don’t you also tell us something about the “anonymous reporter” who has been giving us this coverage? The TV networks show us the reporter and give his or her name. Who can we thank? Good work!! Keep it up! We would like to thank all that helped. We have lived here for four years. I haven’t ever seen so much helping hands, in so many years. We are proud to be a part of Cloudcroft. We would like thank all the firefighters and the people that risked their l lives for us. May god bless all of them. YOU ARE DOING A WONDERFUL JOB RE:FIRE. Been spending hours with TV trying to get updates, mostly to no avail – then I discovered your site. Hope I don’t have to use it for fire info again, but look forward to receiving the newsletter. We, and guests, spend alot of time in Cloudcroft (and you can’t depend on the Alamo paper for any current info). My husband, Dan Jones, and I own a cabin in Sullivan Canyon. Our good friend Janet Sanders kept us updated with the information available to her, but she also told me about your website. How grateful I am to her, as well as to all of you! What a comfort to log on and find such up-to-the-minute reports. I can’t imagine the toll this must have taken on your staff, so please know what an invaluable service you provided for so many of us who are geographically elsewhere, while our hearts and spirits are in Cloudcroft. Just a short note to say thanks for keeping the general public updated on the status of the Scott Able fire. While many may not believe that this fire is as important as the Los Alamos fire – since I have yet to hear of any national new coverage. Your web site has been a portal of valuable information to me and my family (Dockray, Curtis, and Fulton families of Cox Canyon). While I’m unable to personally assist the victims of the fire, our prayers are with each of them. Thank you for your web site. We live on Miller Flats with 180 horses and we really need the information that you are giving, as no radio station or TV station are of help. Where we live we are just in the dark most of the time. Thanks so much. Keep it up. Thanks for your update information on the fire. Since our family owns a cabin in Hay Canyon, I check your web site several times a day for your courrent updates. This shows that the people of Cloudcroft care about the surrounding communities. The lost of property is very sad, especially now since there was a plane crash, which resulted in two deaths. Since I can’t be there to give a helping hand, I know everybody is doing their best. The Cloudcroft homesite has been extremely helpful to me this past week as I’ve tried to assess the danger to my cabin near Alto. Whoever has manned that station and has taken the time to give such good information about the fires deserves a medal for public service. Can’t tell you how much we appreciate your keeping us updated on the fire situation. We live in El Paso but have a cabin in the Village. Have constantly been checking the site as we are not getting too much news coverage here. You are doing a great job!! Thanks for your continued excellent coverage. It must be wearing to maintain this momentum of coverage but it is putting all of our minds at ease. I changed my “home page” location to your site! We log on at least once an hour to check for your updates. Our families are logging on from Florida, New York, Illinois, Colorado and Texas. Have been reading the reports from others who are blessed by your updates and we’d like to add our names to those listed. We have had to leave our cabin in order to make a living, but our hearts are still in that area. We are so far away from home (Northern California) and your updates are keeping our minds at ease. Glad there is no distance in the spirit and we continue to pray for those who are fighting the fire and those who have lost so much. You are doing a great job and we say “thank you” from the bottom of our hearts. I would like to thank you for the good work at getting the news of the forest fires on the web. My son lives at PONDERROSA PINES and had been helping fight the fires. It was a big relief to me to be able to keep up with the progress of the fires. Keep up the good work and thanks again. We very much appreciate your efforts to keep us posted on the current fire situation. This is by far the best source of information available regarding the fires. We live in El Paso, have a second house in the Village, and have been coming to Cloudcroft for over 60 years. Keep up this important good work. We greatly appreciate the information provided on this web-site. Like many others, my family owns two lots in Ponderosa Pines in Cox Canyon and are very concerned about the fire in the surrounding areas. From the information provided, we are assuming that area is okay at this point. Our hearts and prayers go out to all those in the area, property owners, and people who are participating in all the volunteer efforts. Thank you for continuing to keep us abreast of the situation. My husband and I thank you for all the information you have been providing us. We live in Aledo, Texas (west of Fort Worth) and have a home in Timberon. We own Sacramento Energy and have a bulk plant at Sacramento Methodist Camp, so many of the people in the area are friends and customers. Larry Crawford works with us and has been fighting the fire from the beginning. If anyone knows the people that have lost homes or any of our customers read this, please call or e-mail us at sacenergy@aol.com. Our thoughts and prayers are with everyone. Thank you again for your hard work in gathering information for us. We evacuated on the 10th. Our house is OK, but many friends have lost everything. Fire was extremely hot and firefighters basically had to evacuate also. 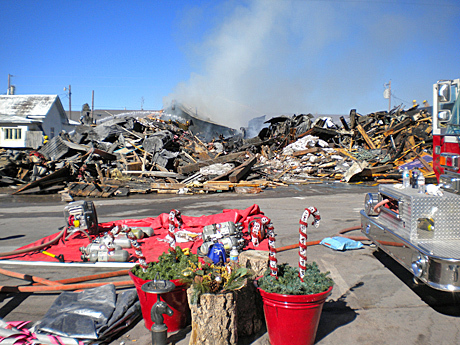 Fire had free roam of town [Los Alamos], many homes burned down to foundation. It is amazing there are so many spared. We got to come back last night, forest around town is 100% burnt due to extreme heat of fire, our beautiful mountains are destroyed. Hope Cloudcroft officials take forest thinning seriously! Most people around here believe that logging should be allowed again. Many areas that were control burned two years ago were no help in stopping fire. They needed to be thinned better. The information that you have been furnishing is great. We have a cabin in Timberon and were very concerned until we started watching your reports. From what we read, the fire started around the 4H camp but we were wondering if the camp sustained any damage. Some of the 4H’rs from Texas go to the camp occasionally. Thanks again for a GREAT JOB. My husband and I have owned property in Hay Canyon since 1967, and feel a very close tie to all the area around Cloudcroft, Weed, Sacramento and Mayhill. We have relied heavily on your website for up-to-date info on the Scott Able fire. We had to evacuate our cabin hastily on Thurs. night, May 11. We picked up Mike Bazar, who knew nothing about the fire, and with our friends who also own property in Hay Canyon, John and Kay Tork, made the trip to the Cloudcroft High School that night. The fire from the top of Prestridge Hill was very scary. We saw the same picture from there that you posted on your website. We just knew that our lovely canyon and cabin were gone forever! When we arrived at the high school, we were greeted warmly by several Cloudcroft residents, along with some students from Colorado who pitched in to help. Later Linda Loper and her daughter came by and insisted that we spend the night in the Loper’s lovely home. What gracious hosts! Linda and Roger served us a delicious breakfast Fri. morning. On Friday, we returned to Hay Canyon, not being stopped or questioned by anyone. Late that afternoon, we evacuated again, and decided to return to our homes in the Fort Worth area. Since then we have regularly visited your website, and also called the forest service number provided to us. We are so thankful that the fire is now contained! We will visit your website frequently from now on, just to get information about that area. THANKS TO ALL YOUR STAFF FOR THIS EXCELLENT SERVICE. GOD BLESS YOU ALL!!! I am a member of the NM National Guard that was deployed to the Cree & Scott Able fires. I was one of the first guard members sent to Cloudcroft on Thursday night, and stayed till the next Thursday when we were released. I just want the residents of the Cloudcroft, Mayhill & especially the folks along Miller Rd. to know how much your support and cooperation were appreciated. We couldn’t have done our job without you. I also want to thank you folks at this site for keeping my wife and family informed as my cell phone didn’t work at my check point on Miller Rd. AGAIN THANK YOU ALL SO MUCH. Great Job! We who have places in Cloudcroft and the surrounding area applaud your efforts in keeping us advised as to the status of the Scot-Able fire. It seemed that this fire did not get the publicity from the press as did others and your service was our only link to current information. While we are very pleased to hear of the fire containment and thank the firefighters for their hard work, our hearts and prayers go out to those that have suffered loss. Thank you for your news of the fire. We own property in Russia Canyon and your reports kept us informed the whole time. This service is invaluable to everyone in the Cloudcroft area and to those of us who visit often. Thank you again. Thank you so very much for posting the news on the Scott Able fire. I have recently under gone back surgery in Florida and cannot travel back to our home in Cloudcroft for another two months. We were very pleased to have access to the fire news though you web page. It helped much with the trauma for an operation and the fear of losing our home. 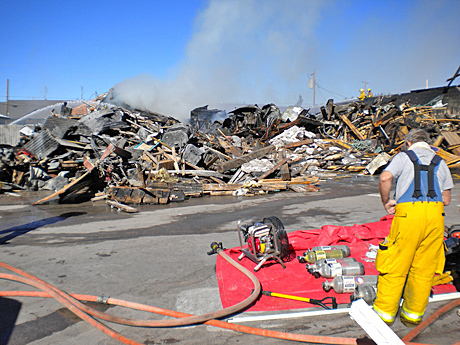 We just want to tell you how much we depended on and appreciated your updates of the Scot Able fire in Weed. We have a cabin in Chippeway Park and were surprised by the lack of national news coverage of that fire; we just found out about it by accident! Your updates were absolutely priceless. It was frustrating to be ten hours away from our “home away from home” when the fire was so close. But thanks to your excellent coverage and updates, we were able to know what was happening! We enjoy the cloudcroft.com website and check it every single day. I would like to extend my thanks to everyone that helped out in fighting the Scott Able Fire keeping our homes and families safe. I am 6000 miles away working on a construction project in the Marshall Islands with my family still in Cloudcroft. It was quite a relief to find out that the fire had been brought under control. 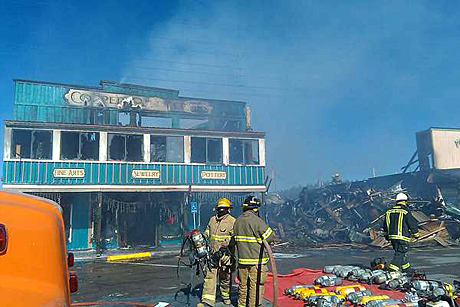 My sorrows go out to all that did suffer losses during this fire. I would also like to say thank you to Cloudcroft.com for updating the web site as often as they did so that I could keep a close eye on what was happening being so far away from my loved ones. I have read with pride the outpouring of gratitude from those who sought and FOUND data and news while Cloudcroft and Scott Able area experienced the fire and threat thereof. I would appreciate it if I too could add my profound thanks for the marvelous job Cloudcroft Online/Newsletter and others did to keep us outsiders informed as to the progress being made to save the remaining area. I recently retired from 50 years in the news business. I can attest to the fantastic job you all did in keeping us accurately informed at a time when “news” of the blaze were scarce. Thank you again from a “resident of #5” Buckhorn Cabins. Hi Gloria and Katherine. From Lubbock Texas I wish to say what a fantastic job we thought you did considering the lousy help you received from the state which is par for the course. Is there anything I can do in the way of donation letters to Pete in Washington or what can I do to help you out the most. We SURE appreciated and noted the hard work it took to put out the newsletter. It did take much of the worry of our home in Timberon away and yes I did pass your address along to all us Texas flatlanders. I want to thank you for the fire coverage. I was really frustrated about lack of information early on, but then I found cloudcroft.com and the information was accurate and up to date. We were in the process of marketing a home in the evacuated area before the fire started but unlike many that lost everything, our place was spared, and has now been sold. Thanks for the coverage, it really kept us informed. A huge THANK YOU for your coverage of the Scott Able fire. My brother (Steve Wimsatt) called and told me about the fire, and told me about your web site. I told everyone I talked to about this site, and many of us logged on daily. It was so great to be able to find out what was going on, especially since the coverage here in California focused only on the fire in Northern New Mexico. I was born and raised in James Canyon, and a part of me will always think of Cloudcroft as “home”. Thank you again for your hard work and for making such an effort to keep us informed. I know that this has touched far more people than you will ever know about! Looking for fast hosting at an unbeatable price? A web site is essential for a business today. If you don´t have a web site, the sooner you get one the better, because search engines give older web sites a higher ranking. And the name of the game in search engines is having your web site appear on the first page or two when people are looking for your service. Cloudcroft Online offers four excellent hosting plans. The most important aspect of a web site is the domain name. In the early days of the internet, you could easily find a suitable name. Now, because 10s of millions of domain names have been taken already, it is not easy to find a good name. We offer domain names at $9.95, a low, unbeatable price. You can register a domain name and not buy a hosting account, just to save your domain name. You can always add a hosting account later — and even host the domain with a company other than Cloudcroft Online if you want. We also offer web page design and domain name consultation. For more information, click here to contact us. 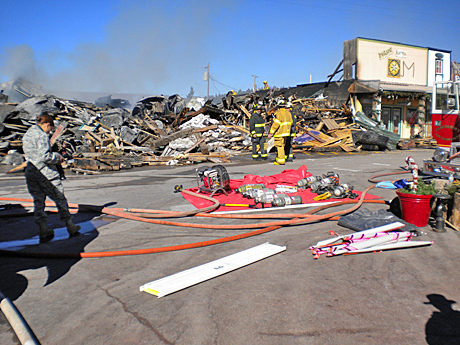 Starting about 4:00 am, December 13, a fire struck two businesses on Burro Street, the Village’s main street. The cause of the fire is currently undermined. 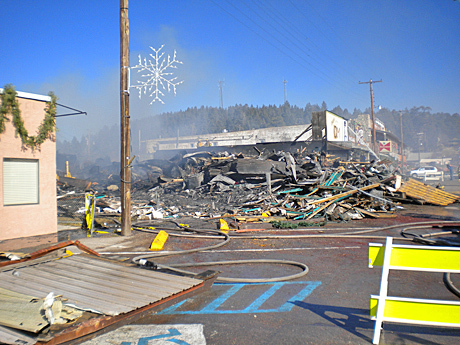 The buildings burned were the Copper Butterfly and the Pine Stump Mall. The Copper Butterfly is owned by Ken and Barbara Rice. 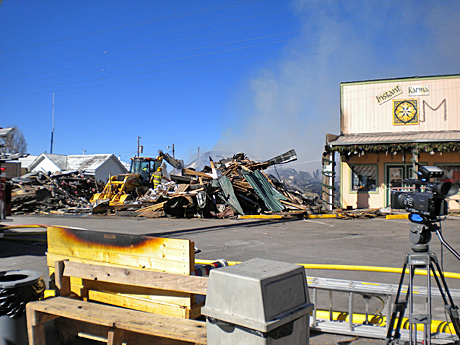 The Pine Stump Mall is owned by Cloudcroft Mayor Dave Venable. No one was injured in the fire. This is a heavy economic blow to Cloudcroft, as a number of our citizens have now lost their jobs and their businesses, just before Christmas. 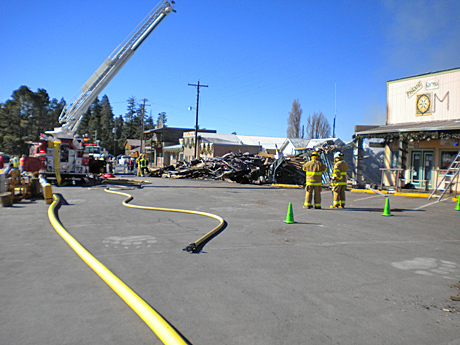 A Relief Fund has been established by the Cloudcroft Chamber of Commerce at the First National Bank in Cloudcroft. For details, call the Chamber at 575-682-2733. 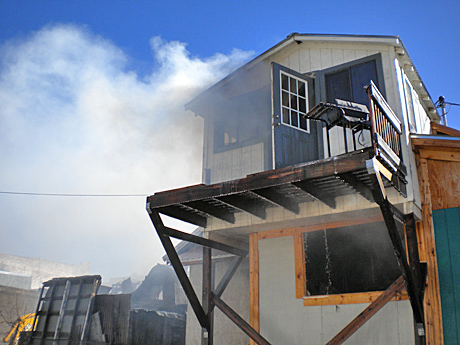 A home or building fire becomes a huge cost on the owner. While there are cleaning and restoration services that can assist the costs add up. Hiring a professional cleaning service will speed up the process though and get the owners back to rebuilding quicker.